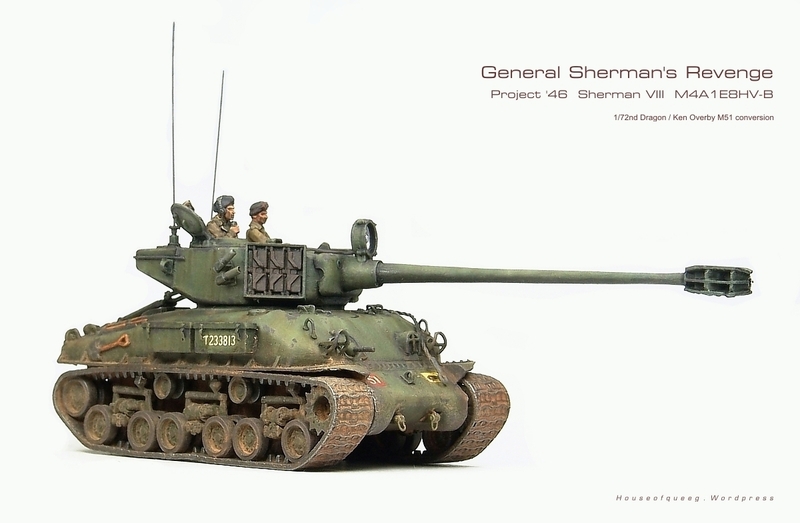 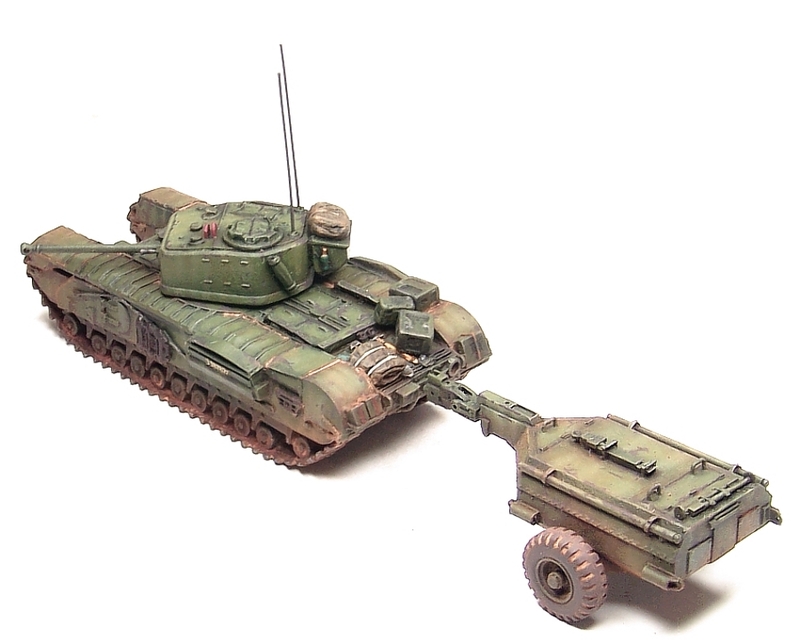 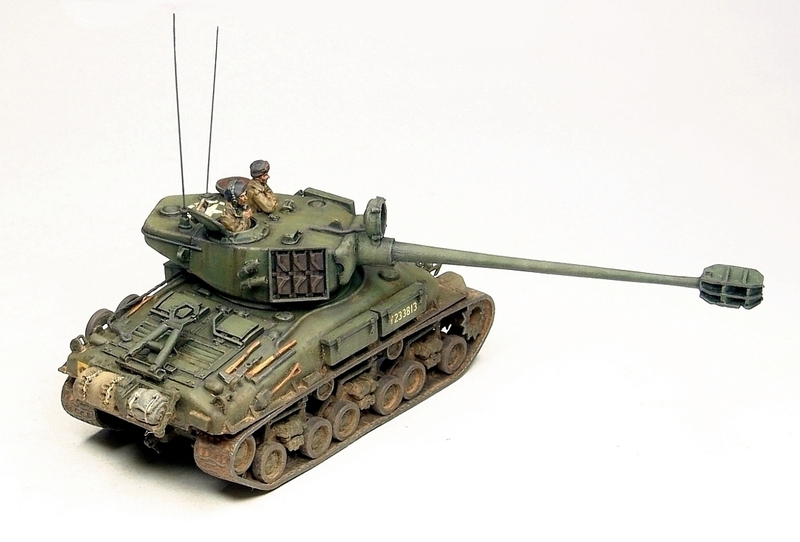 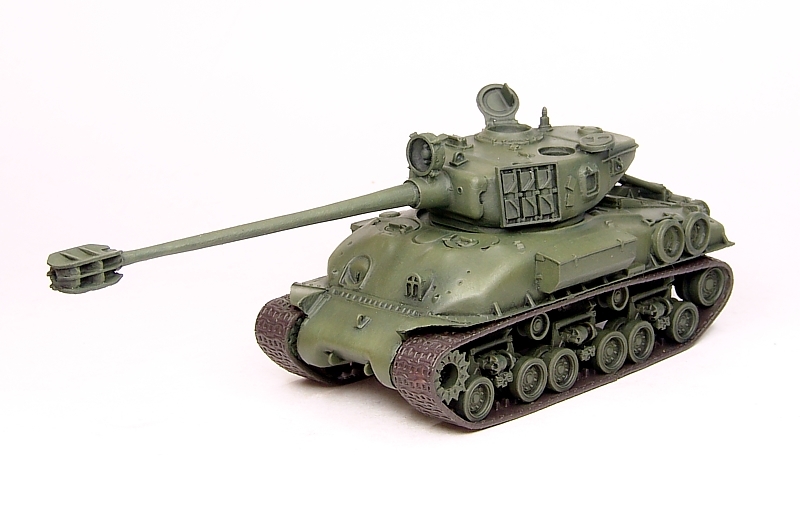 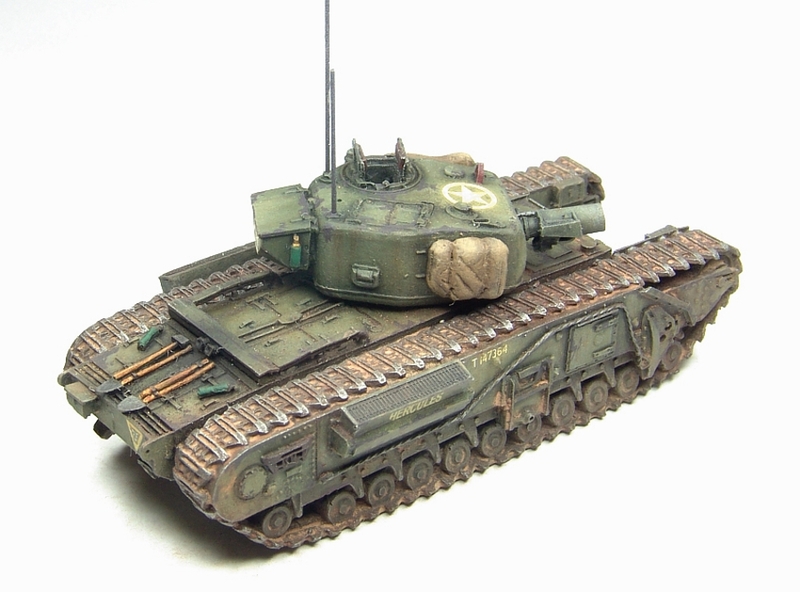 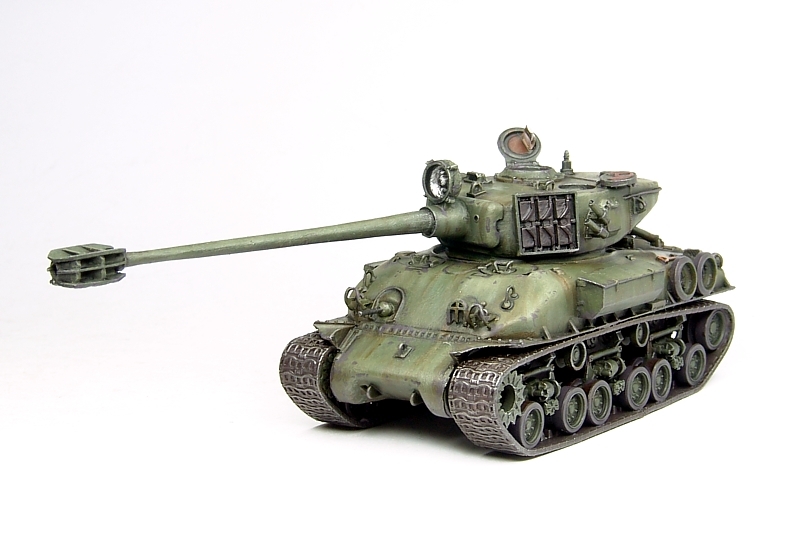 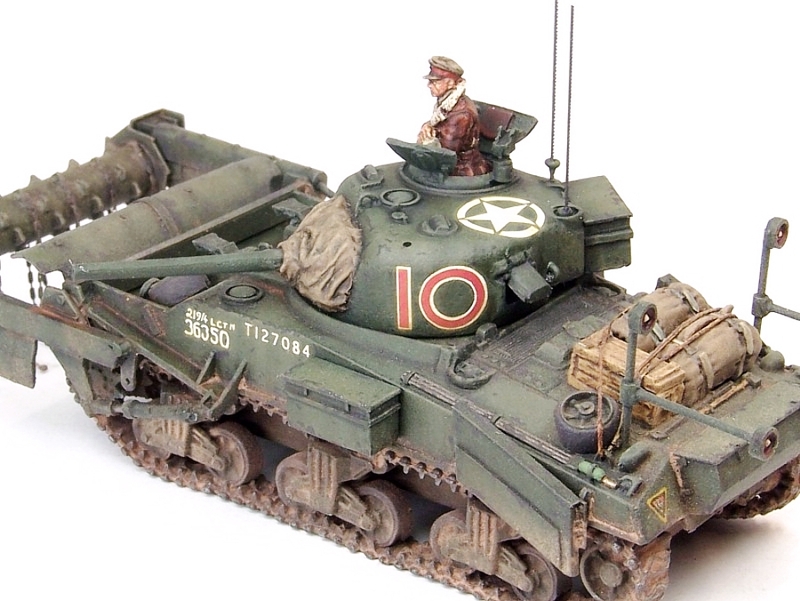 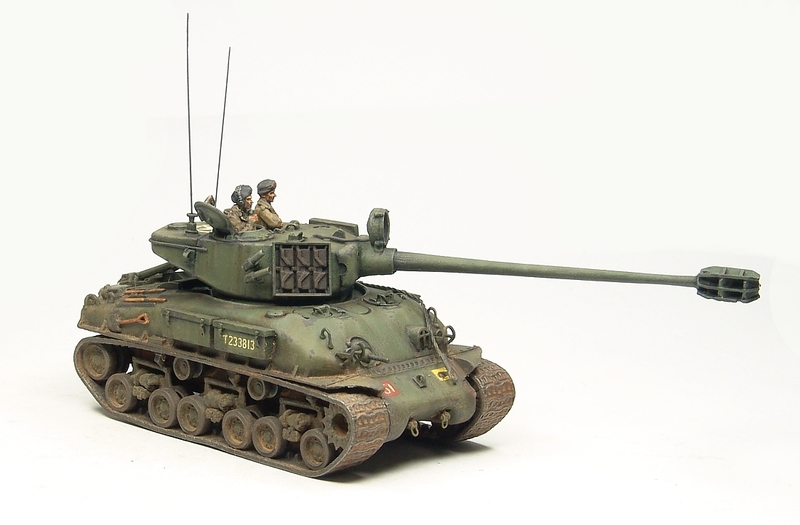 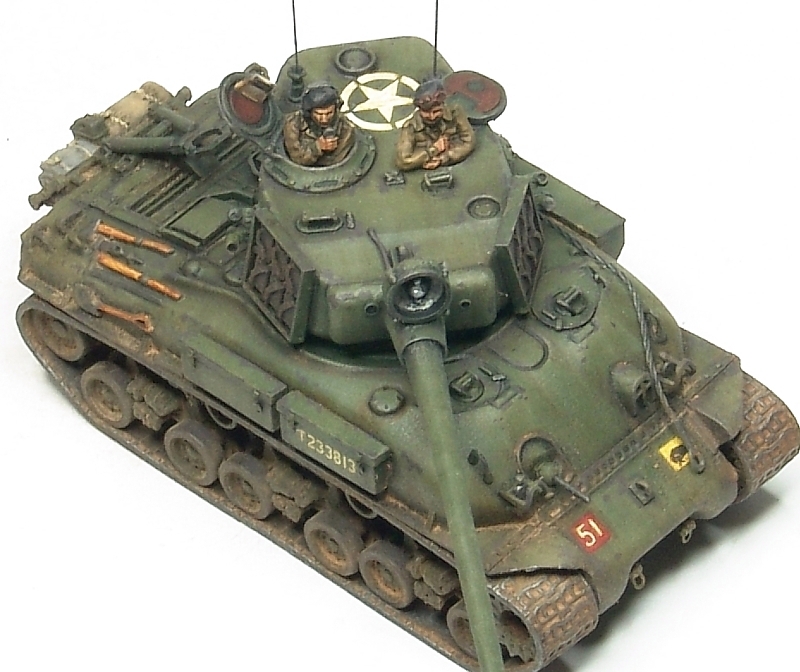 More 20mm project ’46 stuff, this time an M51 Sherman in British service. 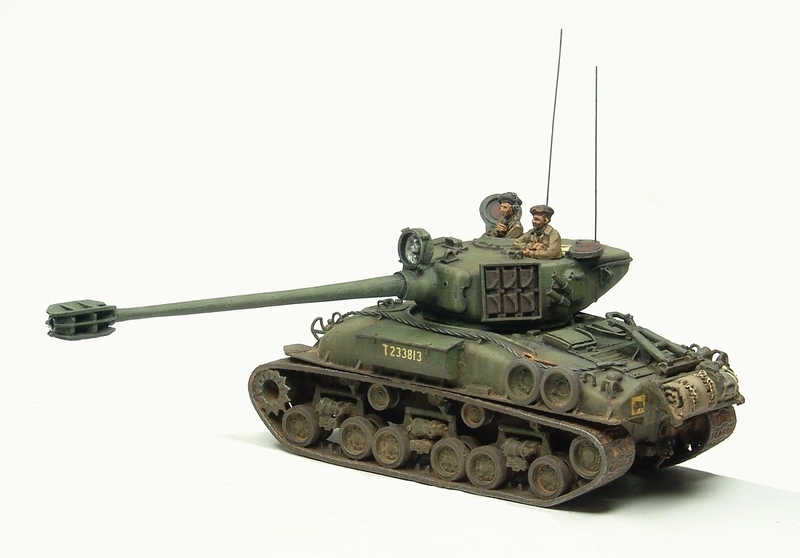 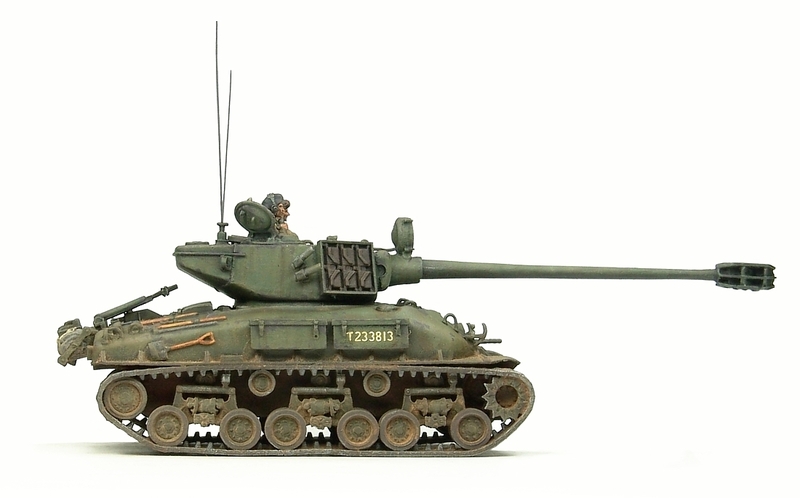 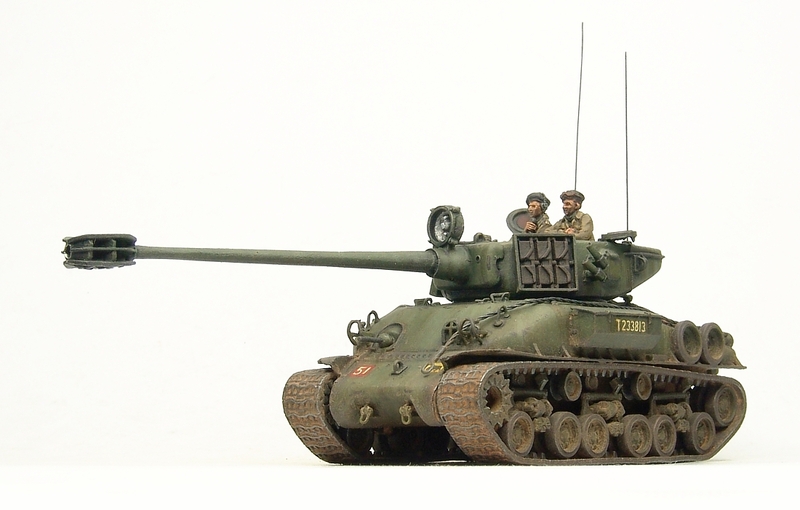 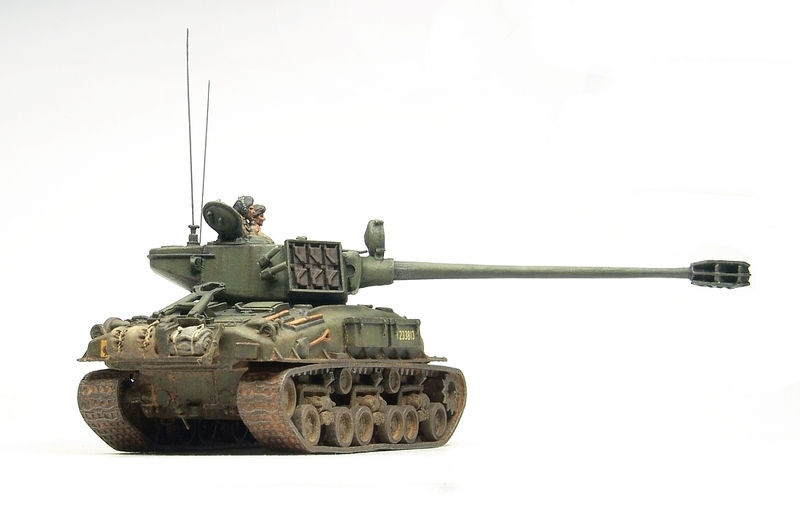 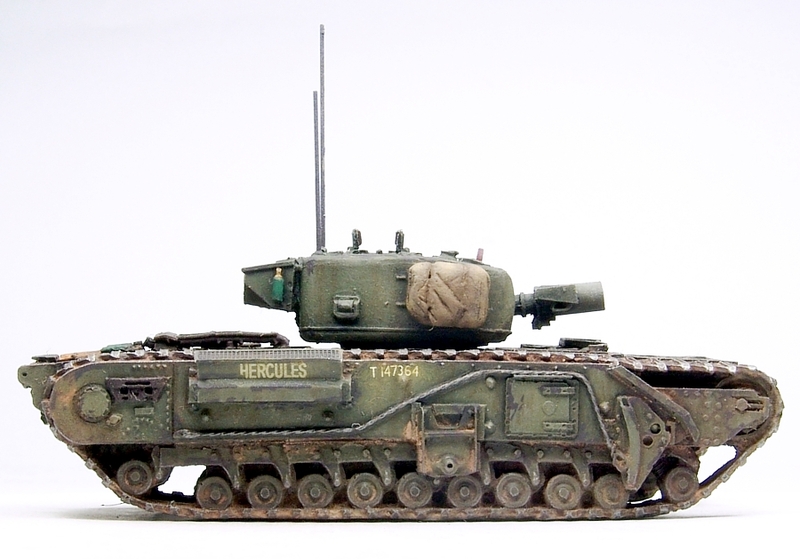 Made with the Cpl Overby M51 late resin conversion set which is made to use with Dragon 1/72nd HVSS Sherman suspension and detail parts. 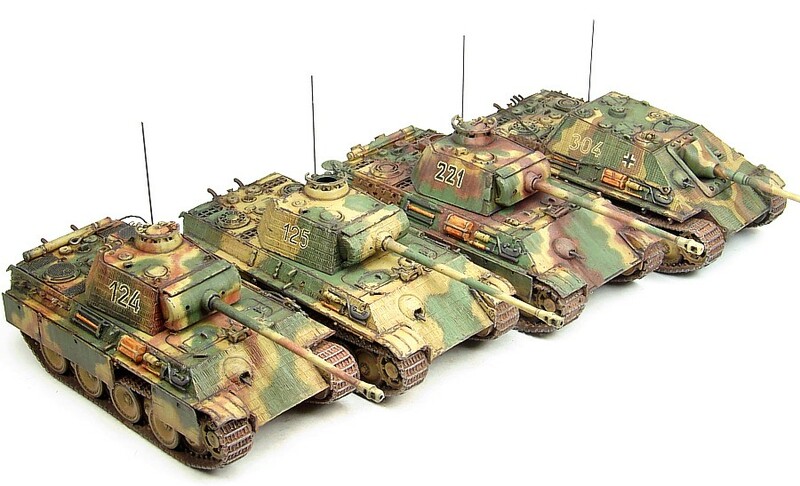 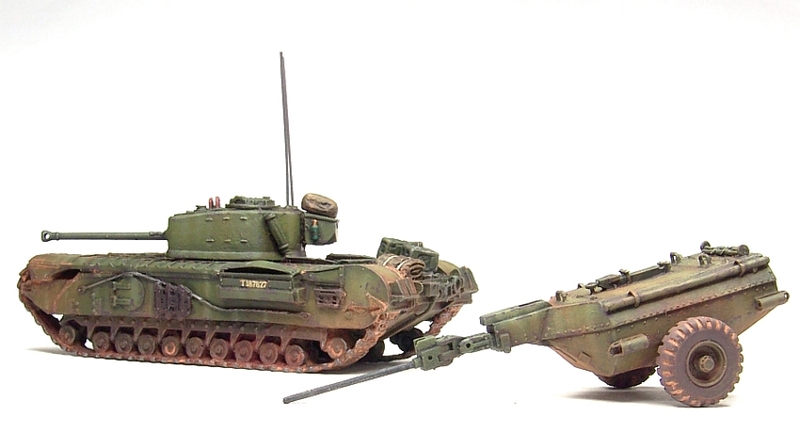 Three of them provide overwatch/long range fire support in our Type 1 ’46 british armoured squadron. 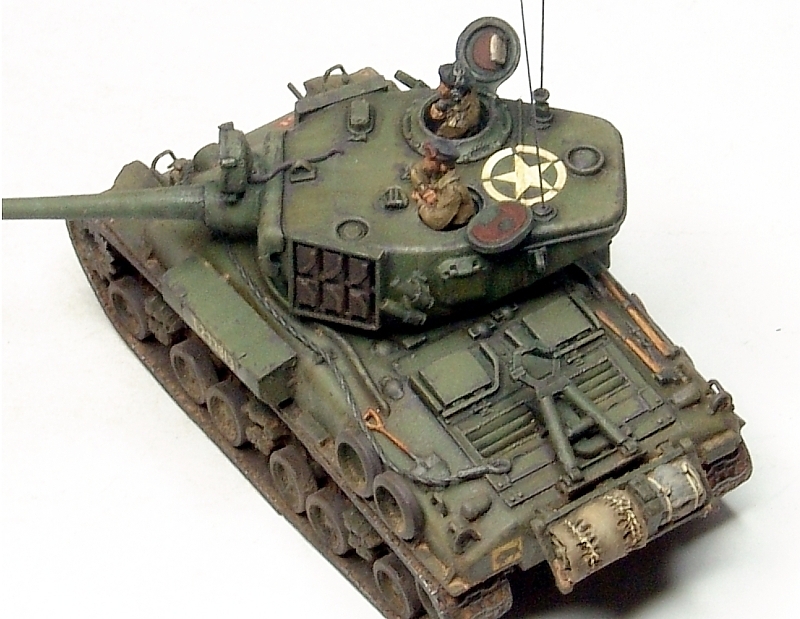 Finished in brush painted GW acrylics with the green being a custom blend of Catachan Green and Desert Yellow. 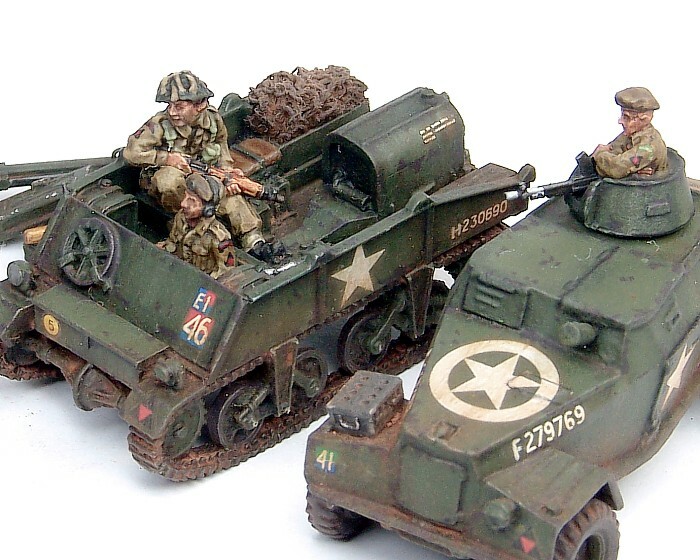 Crew figs are from AB Miniatures. 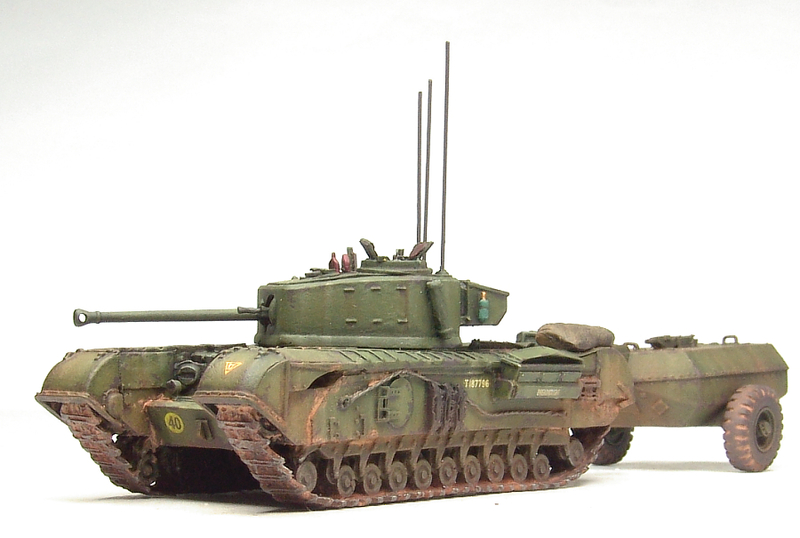 A few wip shots ………. 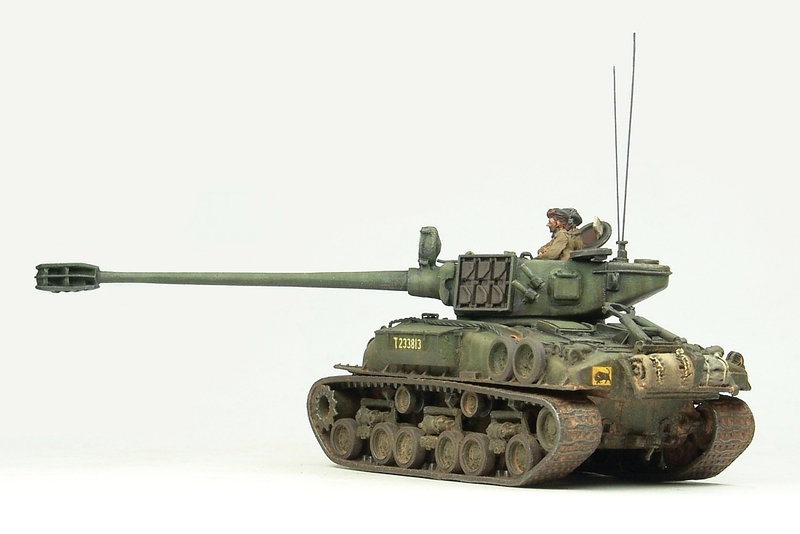 A pic break is needed I think from all that stressful 1/35th wip. 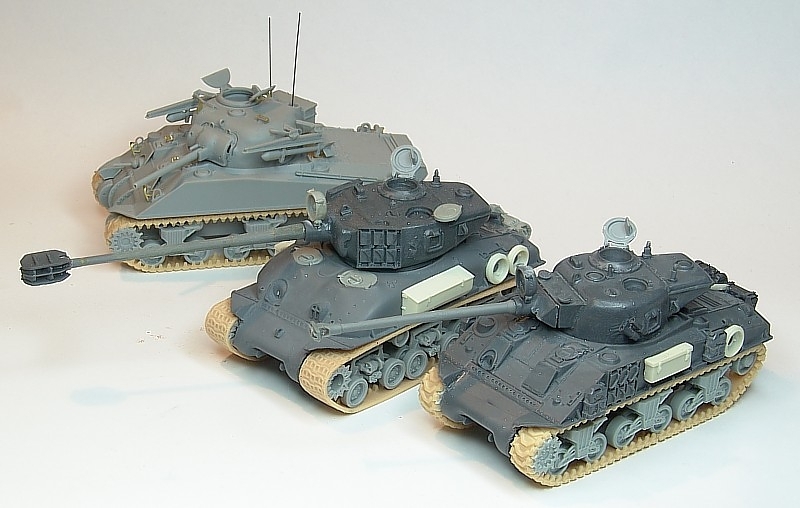 So here’s a bit of past 20mm commission wargaming armour, a Sherman Crab, Churchill Crocodiles and a Petard armed Churchill AVRE, all Milicast resin kits. 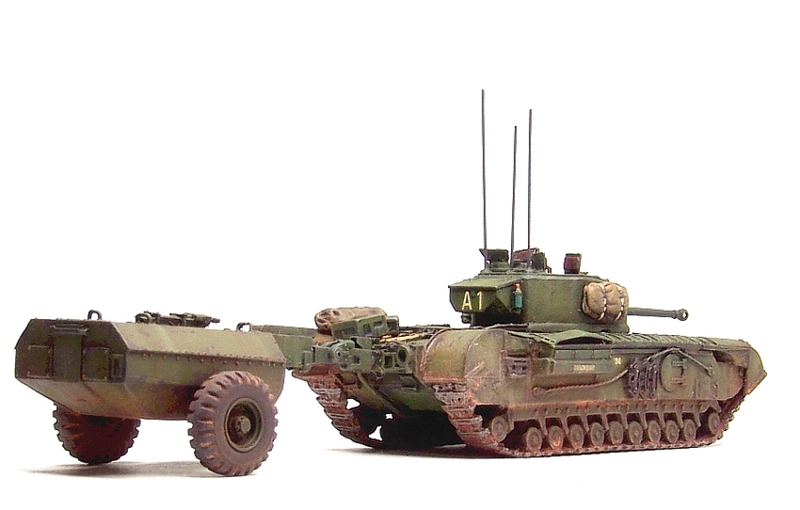 The Crab has PE flails, AB crewman (actually a Russian but he makes a great British looking officer) and added stowage. 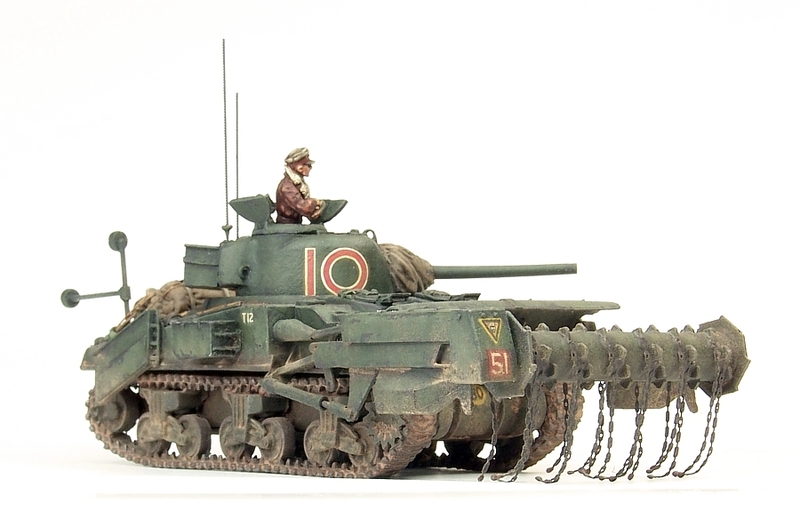 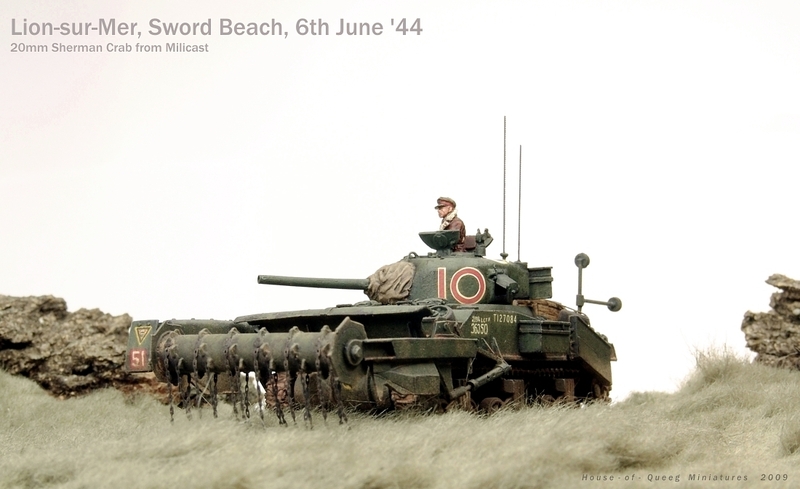 The Crocodile fuel trailers were fitted with brass rod so they can be removed and the Churchills used as gun tanks. 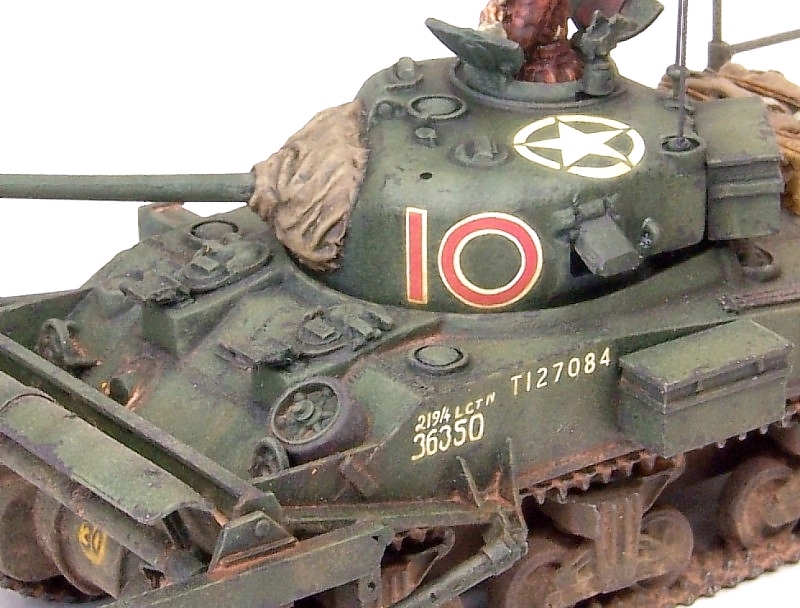 As usual, all were brush painted with GW acrylics and weathered with home made pigments. 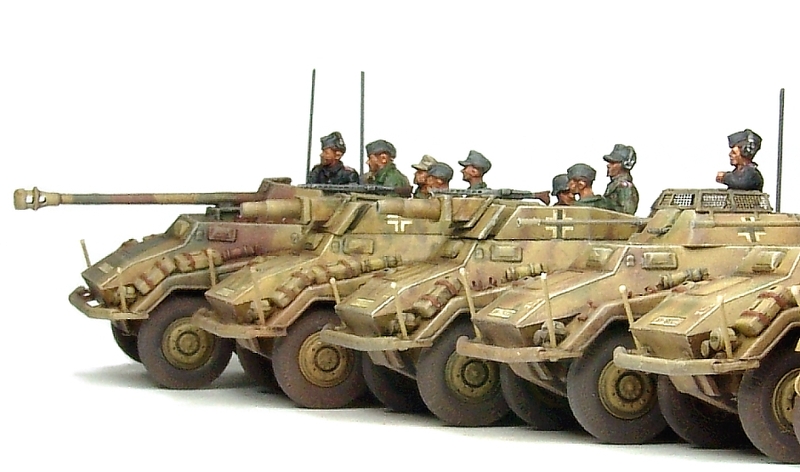 Decals are from various bison sets. 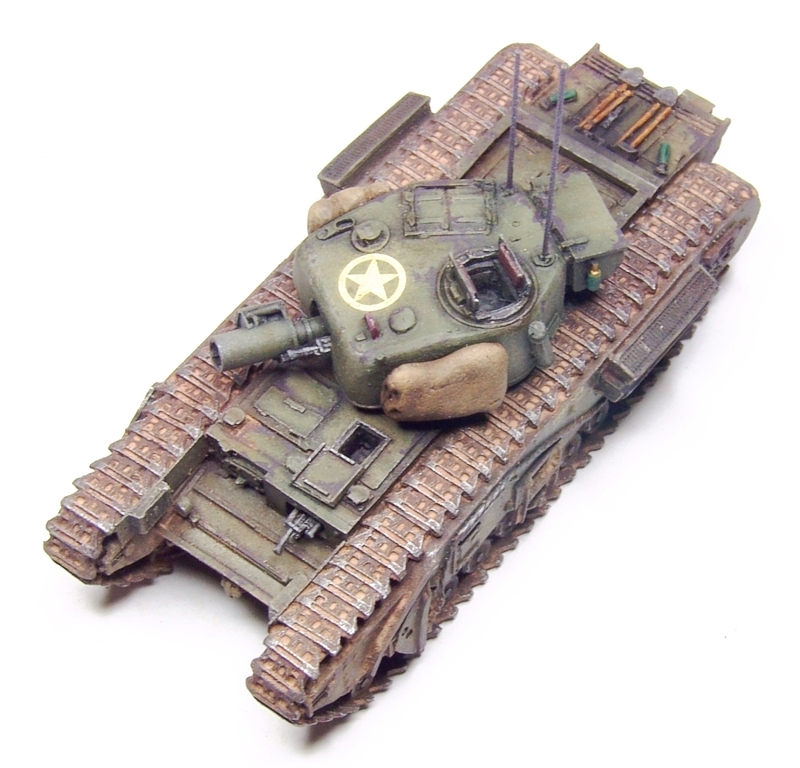 A few finished pics are needed I think to balance out the recent wip postings. 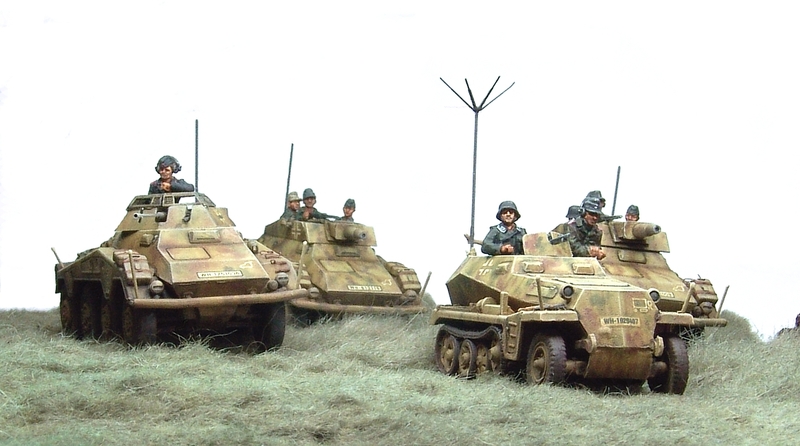 So here’s another completed commission, a generic Heer late war recce group. 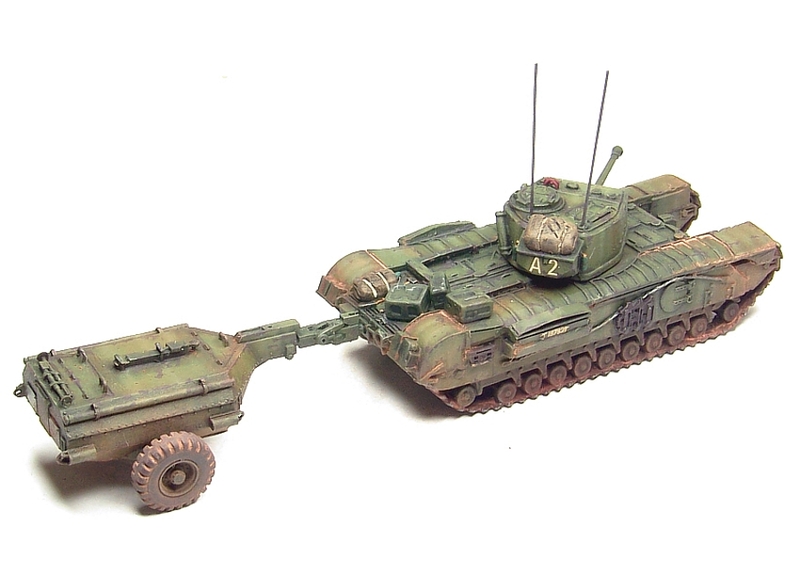 Hasegawa 1/72md 234/1 and 3’s and a kitbashed Esci 250/3 with AB crews. 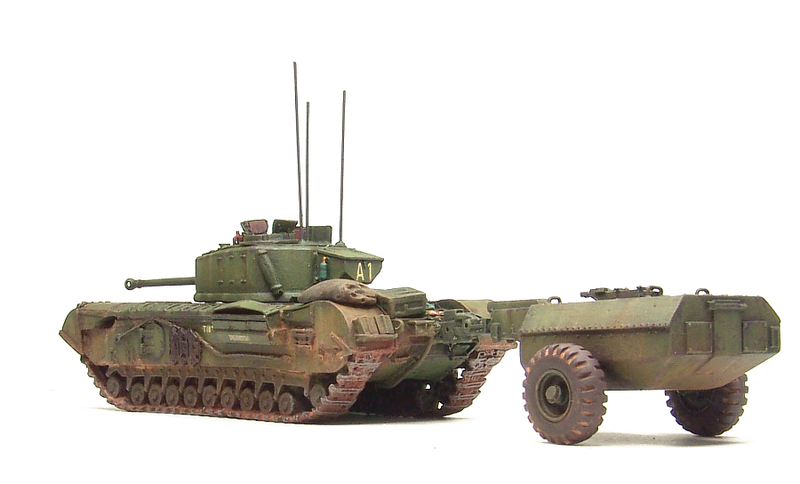 The 234’s are all OOB and the 250 has Fujimi 251 front wheels and Hasegawa 251 tracks. 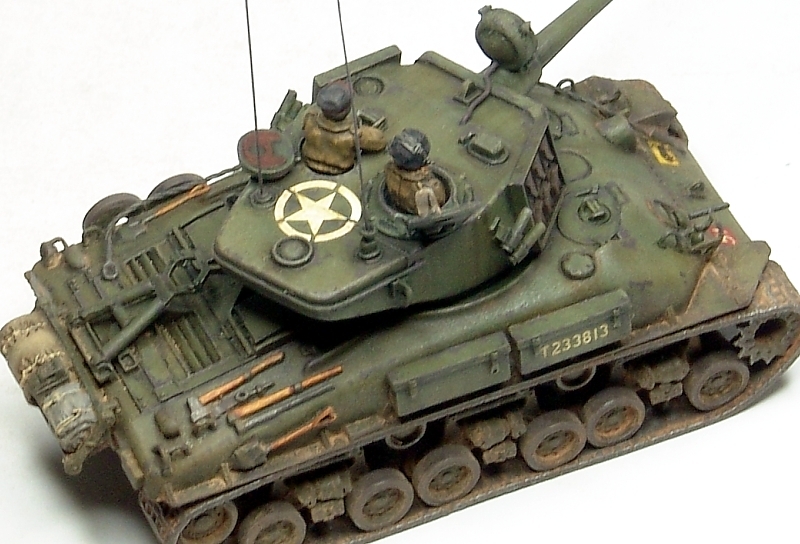 Some of the later, and therefore better (at least that’s my story) of the 20mm stuff I’ve completed for people in the past. 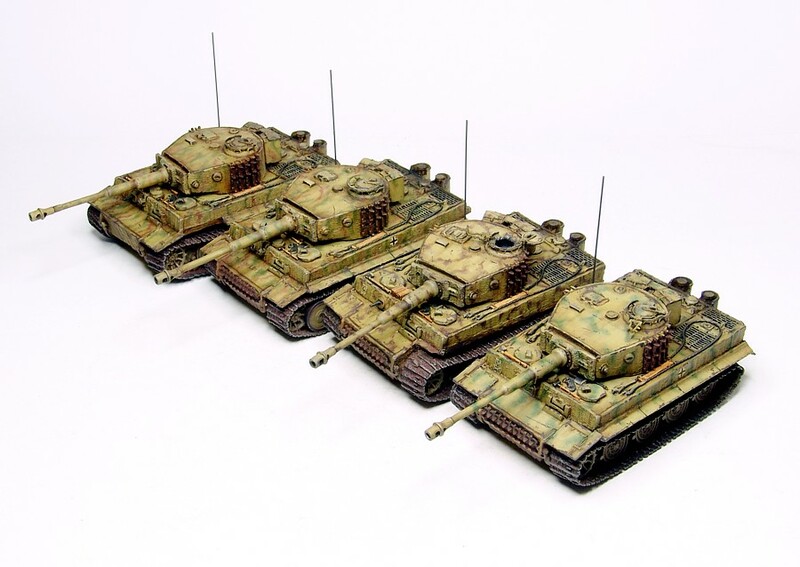 The Tigers are Milicast resin and the Panthers are Dragon kits. 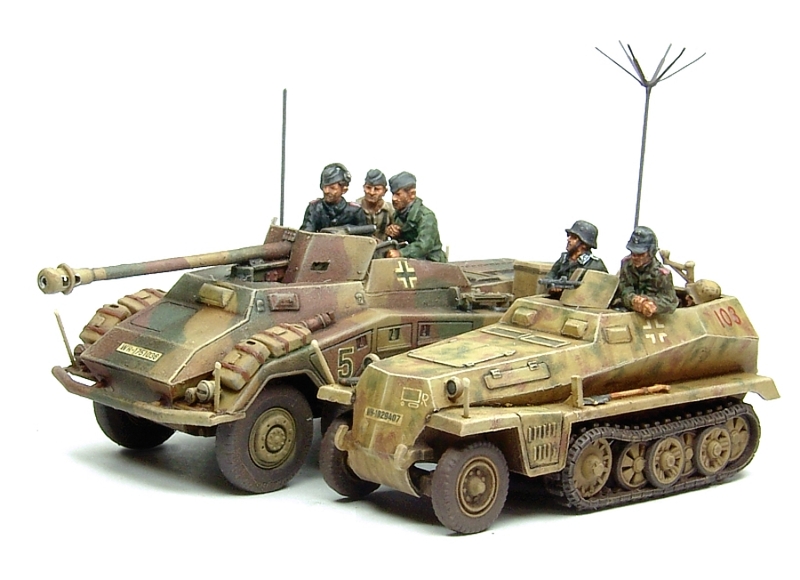 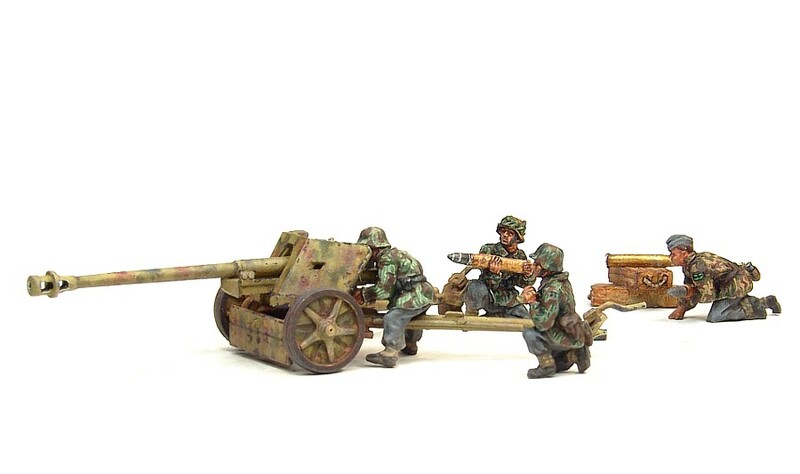 The 6pdr and Loyd tow carrier are Milicast and the Pak40 is AB as is the fabulous crew figs in both pictures. 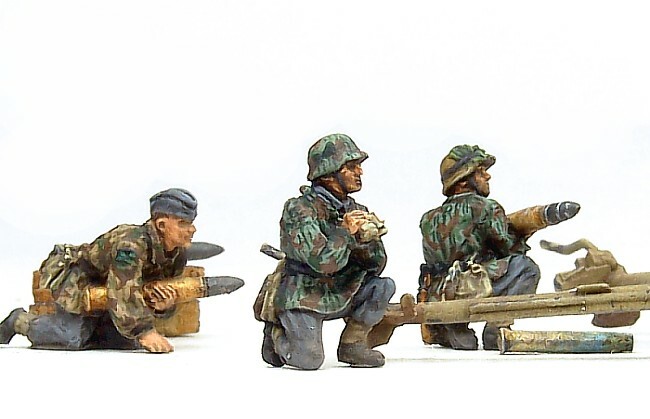 I (heart) AB figures and wish they had made more ranges. 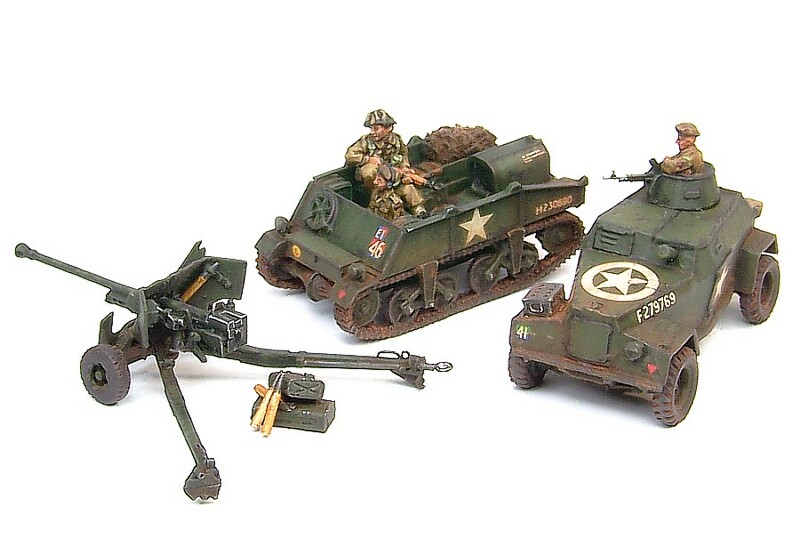 I get stirrings in the depths of my painting shorts thinking about what US paras would look like, or even dare I say it moderns. 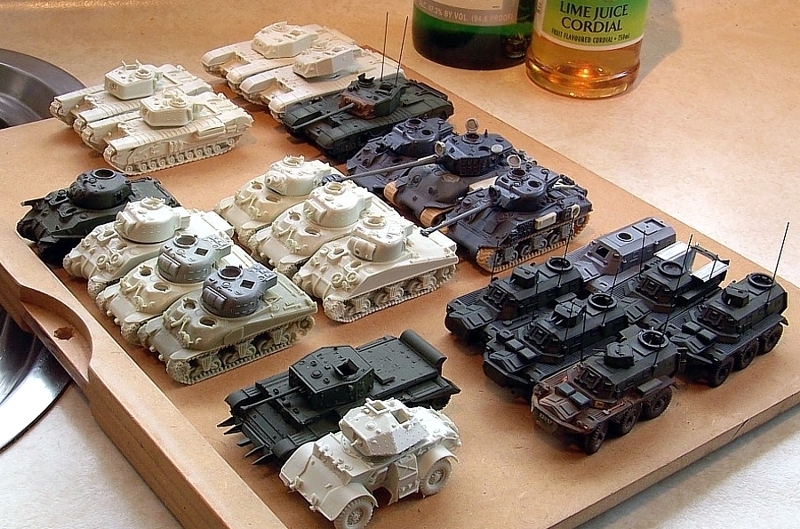 Yup they’d sell truck loads of modern vehicle crews I reckon …..